Finished Mar 2018. Final score: 5 / 5. Nothing beyond frequent news stories about our electric grid being way overdue for upgrades. This was a nice high-level history of how our electrical system came to be and why it is so difficult to maintain. I am giving The Grid: The Fraying Wires Between Americans and Our Energy Future my highest score. This was a far, far more enjoyable read than my last nonfiction book I read (Ghengis Kahn). I could not put this book down. I knew our grid was a mess. I hear about it on the news. I did not know just how messy it was. I also did not know how old it was (100 years). I knew we take our power lines for granted. I did not know how impossible the task is for electric companies to provide. The entertainment value is medium. Don't expect to laugh or cry (unless perhaps you work for TVA). Pure entertainment is the job for fiction books. The "interesting" metric for this book is sky high. The technical detail is very light and is told in plain English. I never heard of voltage described in terms of an electron's "desire". The metaphors used to describe series and parallel circuits were decent too. I never felt lost, though I have a strong technical background, so YMMV. The book focused mainly on political and business issues. As a bonus to everything being told well and interesting, this book is current (2015) and thus news-you-can-use. We start in the late 1800s with Edison building and installing lights in various places. He did not invent the light bulb. He just made an electrical lighting system that was worth selling. Anyway, these were small systems. Enough to cover a mile or so. It used DC current. Power was generated independently in all places. 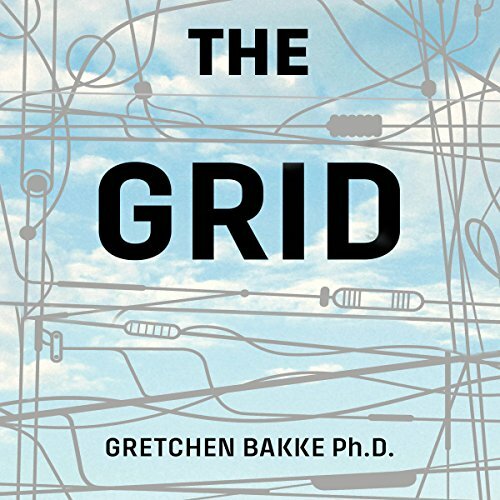 The author harkens back to these "micro-grids" as a way to save our current grid. The author notes Edison's biggest innovation was the parallel circuit. With it, lights could be dim and strung together. When a bulb dies, the rest keeps running. Think of Christmas lights with 1 bad bulb killing the tree. Not a problem with parallel. The Telsa vs Edison / AC vs DC battle was later. AC won because it could run much, much farther. I don't want to relay the whole story. So I will jump to key areas. Why do we have 110 V running at 60 Hz? You can thank Niagara, the first major American power plant. It's where our grid started. As it grew, devices needed to be compatible, so they tuned their systems to Niagara. Why is our power owned by a handful of players? It did not used to be. You can thank Samuel Insull's shrewd business practices when he took over Chicago's power company. He bought everything. He lowered prices to nearly zero because his costs were fixed and wanted generate as much demand as possible. He did promo prices to motivate more demand. The list goes on. Then, we can thank lobbying to enshrine the monopolies. There was a side benefit to consumers. Before, we had wires strung all over the place to connect disparate system. It was a huge mess. Interoperability helps everybody. Jumping forward in the book. It was interesting to hear that the power company's problem of unpredictability. Due to the nature of electricity, every electron outputted needs to be consumed. It is a very difficult balancing act to have a smooth flow to your vacuum or your toaster whenever you turn it on. This is why they fight green energy. It is not reliable. Clouds appear and rains slow. They need a reliable stream. Enter the next challenge: Peak demand. This is the 5pm-7pm when the sun sets (no more solar), TVs turn on, AC/heat turns on, vacuums turn on. Power companies have an entire plant on standby just for these few very high-demand hours. Anything that can time-shift peak demand activities, they will pursue. Their pursuit of shifting your habits to non-peak can be downright invasive. I learned a very fascinating story about "smart town" attempt in Bolder, CO and intense protest and rejection of smart meters. Power companies would love for you to hand over control of your appliances to them. Some are good ideas, like staggering the AC ramp-ups, moving the dishwasher to 2am. Some have a touch of evil: Why did you attempt to install this device 7 times in a single month if it is for my benefit? Why is my bill now much higher with no discernible difference the month I did not have it? Interesting solar panel contracts that makes having solar panels cheaper than not having them and at no cost to the home owner. They just sign and their bill is now lower. This puts people that do not care about saving Mother Earth in rare alliance with the hippies, and so that market is booming. A very clever ice box is replacing many power-hunger air conditioners. It makes ice at night and blows wind over them in the afternoon. This time-shifts the demand to off-peak and uses less energy. Electric cars can attach their batteries to the grid to smooth out power demand when the car is not in use (which is 95% of the time). This is a bit of a socialist pipe dream because many would not volunteer the use of their private car to their employer or power company. Micro-grids becoming more popular. A collection of these grids means that any particular outage won't be so widespread. Smart meters that have actual benefit to the home owner. The last chapter was the least interesting. It was a bit too Kumbaya. However, it made at least 1 neat point. Consumer demand is reducing, but our lifestyle is not. Through clever designs, we can still have nice TVs, cold beers, and heated homes. Our lifestyle stays the same. Just cheaper. Everything is simply becoming far, far more efficient, and with a blend of micro-grids and other power sources, our grid is also becoming more resilient. I recommend this book to anybody wanting to read nonfiction. Discuss The Grid in the forums.